You are here: Home / News / Cult Classic “As An Act Of Protest” Returns To New York 15 Years Later. 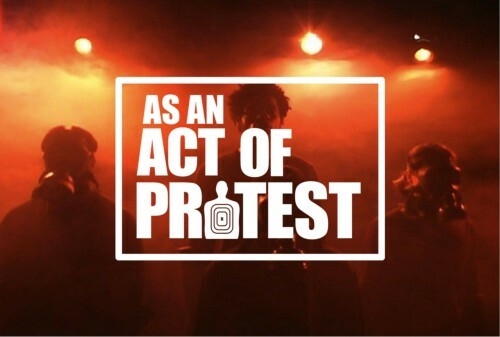 Cult Classic “As An Act Of Protest” Returns To New York 15 Years Later. (ThyBlackMan.com) The Luminal Theater @ Richard Beavers Gallery presents “As an Act of Protest” on November 2, 2017 at 7pm in Brooklyn, NY. This will be the first time in 15 years that the film will be screened in New York after being banned. During the Giuliani era, the cult film was made available in bootleg versions underground, however it was otherwise prohibited in theaters throughout New York. After the film screening, there will be a Q&A session with director Dennis Leroy Kangalee, Mtume Gant and other special guests. Culture critic, Kam Williams, deemed “As an Act of Protest” the ‘best black film no one will see’ in 2002. The film is a cinematic poem that exhibits racism and its psychological effects by following Cairo Medina, a young African American actor, through his journey to eradicate racism and police brutality that continue to plague the world. The film is an avant-garde, confrontational and painfully honest, extraordinary theater piece that exhibits a documentary-satire-horror style. 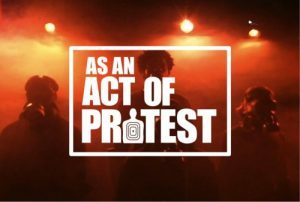 “As an Act of Protest” stars Che Ayende, Dennis Leroy Kangalee, Ward Nixon, Mtume Gant, and The Last Poets. Speller Street Films, the company behind the award-winning documentary “Wilmington on Fire,” purchased the distribution rights to “As an Act of Protest” and have begun the process of reviving and restoring the film in which they hope to make it available to the public in 2018. “As an Act of Protest” screens on November 2, 2017 at the Richard Beavers Gallery, 408 Marcus Garvey Blvd., Brooklyn, NY 11216. The film will start at 7pm. Tickets are $8 at the door and in advance at http://bit.ly/LT-aop1. The event is presented by The Luminal Theater.